Laravel has great documentation which is only one reason I love working with it so much. With that said, it has some dependencies that require a bit of research and configuration to get it installed. With a little bit of trial and error (and Google) I was able to get it set up. The issues that I had were mostly because of the host, not Laravel itself. Others may not have the same issue that I had, but I’ll walk through what I needed to to to get it up and running. Laravel utilizes composer to install/run. Composer documentation explains two ways to install. I really don’t want to do that every time I need to perform a php command. So, I found a couple of different posts where users changed the default php version for CLI. This site explains what I did, only I am using 5.6 instead of 5.3. After starting a new session and running php -v shows that CLI is now using PHP 5.6 as default. After successfully installing Composer, it was time to install Laravel. The composer.phar executable is whatever directory you installed Composer in. In my case it’s the root of the domain I’m working in (/home/[username]/[domain-name]/). php composer.phar global require "laravel/installer"
This will create a new directory /blog in your domain. We just have to install the laravel dependencies now. Only, my final problem is I didn’t install composer as a global command. It only works in the directory that I am currently in. In order to install the laravel dependencies, composer requires a composer.json file which exists in the new directory that just got installed. 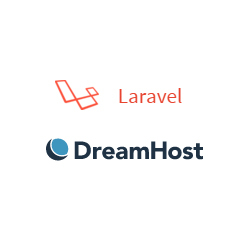 Depending on how you have your host setup, you can go to http://yourdomains.com/blog and should see the landing page for your new Laravel application. If that doesn’t work you can go try going to http://yourdomain.com/blog/public and you should see it then. That was the process for me. It seemed a bit complicated, but it’s so worth it in the end. I am a problem solver and I just couldn’t let each little speed bump stop me from getting Laravel installed. Now, I am on the latest version and love it! I will be sure to show off the app when it’s in beta and ready for testing. Let me know if this helped you at all. I’d love to hear feedback and challenges other may have faced in the installation process. Previous Article What does this button do? Very helpful info and easy to read. Thanks! Great tip Ian. Appreciate the addition!